Autism Risk Assessment — The Great Plains Laboratory, Inc.
A ground-breaking study at The Great Plains Laboratory, Inc. pinpoints a mutation of the ARHGEF6 gene as a major cause of autism and a major reason for the male preponderance of autism. The Great Plains Laboratory organized the study utilizing volunteers as well as patient samples from the Autism Genetic Resource Exchange (AGRE), which is a program funded by Autism Speaks. In the study, the researchers genotyped 252 single nucleotide polymorphisms (SNPs) in 35 different genes that had previously been identified as autism risk candidate genes. This study was performed with 247 controls (106 male and 141 female) and 155 patients on the autistic spectrum (134 male and 21 female). They found the most significant marker for autism of the 252 SNPs tested was a genetic variation called rs2295868 in the ARHGEF6 gene on the X chromosome. The odds ratio for males with this SNP was 4.09 with a p value <0.0003, which means nearly 80% would likely develop autism at some point in their lives. This is higher than any other single SNP previously evaluated for autism risk. The odds ratio for females (1.02) for the same SNP was not statistically significant and did not indicate that this SNP increased the risk of autism for females. Since the ARHGEF6 gene is on the X chromosome, this research helps to explain the excess ratio of autism in males, such that males are 4.5 times more affected with autism than females. Males receive an X chromosome only from their mothers while females receive an X chromosome from both their fathers and mothers. Thus, mothers will transmit the affected gene to their sons while both mother and father may transmit the affected gene to their daughters. However, 20% of males with the affected gene do not appear to develop autism, although they may be at risk for schizophrenia and inflammatory bowel disorders. 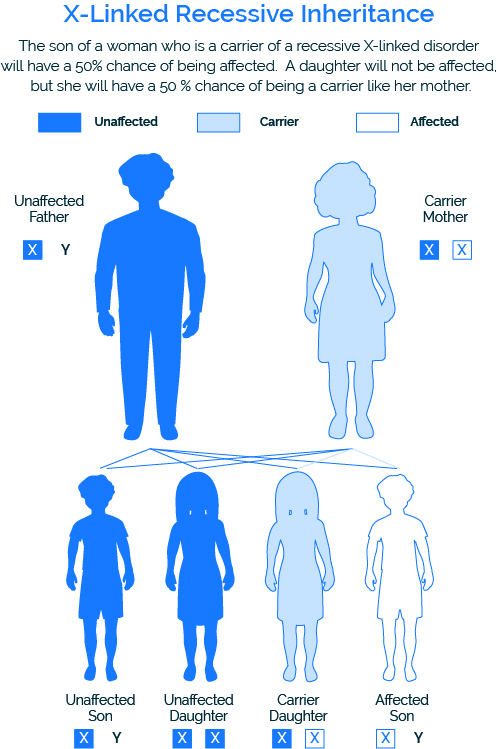 The ARHGEF6 gene SNP was found in 30% of the males with autism spectrum disorders meaning that 70% of cases of autism spectrum disorder in males are due to other causes. A negative result for the ARHGEF6 gene SNP does not rule out a child developing autism from other genes or other non-genetic causes. Dendrites are the parts of neurons that receive information in the form of electrical impulses from the environment or other parts of the body and also transmit electrical signals via axons to other parts of the nervous system. According to Alvarez and Sabatini, a dendritic spine (or spine) is a small membranous protrusion from a neuron’s dendrite that typically receives input from a single axon at a synapse, the gap at the terminal end of the axon where electrical impulses stimulate neurotransmitters. The neurotransmitters cross the gap at the synapse called the synaptic cleft and excite nearby dendrites. Dendritic spines serve as a storage site for synaptic strength and help transmit electrical signals to the neuron’s cell body. Most spines have a bulbous head (the spine head), and a thin neck that connects the head of the spine to the shaft of the dendrite. The dendrites of a single neuron can contain hundreds to thousands of spines. In addition to spines providing an anatomical substrate for memory storage and synaptic transmission, they may also serve to increase the number of possible contacts between neurons. Dendritic spines express glutamate receptors. Spine plasticity is associated with motivation, learning, and memory. In particular, long-term memory can be affected by the growth of new dendritic spines (or the enlargement of pre-existing spines) to reinforce a particular neural pathway. The cytoskeleton of dendritic spines is particularly important because without a dynamic cytoskeleton, spines would be unable to rapidly change their volumes or shapes in responses to stimuli. These changes in shape might affect the electrical properties of the spine. The cytoskeleton of dendritic spines is primarily made of filamentous actin (F-actin). Enzymes such as the one produced by the ARHGEF6 gene, rapidly modify this cytoskeleton. The repetitive behaviors common in autism might reflect the inability to rapidly remodel spines to learn new behaviors. Such findings are consistent with an emerging hypothesis that the brains of individuals with ASD are characterized by over-connectivity in local circuits and reduced connectivity between regions in different parts of the brain. This hypothesis helps to explain the tendency of many people with autism to desire the same routines and to have resistance to change. Studies have shown that patients with autism have lower amounts of Fibroblast Growth Factors (FGF) and there are reports that patients undergoing FGF therapy have shown positive results. Because of the link between FGF and ARHGEF6, there may be some benefit for this type of therapy for people with autism. Dr. Luis Aguilar of Mexico has been utilizing this type of treatment for about 20 years and has reported extensive improvement in behavior and speech for patients undergoing this treatment. However, The Great Plains Laboratory has not evaluated Dr. Aguilar’s treatment or his claims of efficacy. I am a Pediatric Special Needs Physician and I’m Interested in Joining the Referral List for test Ordering and Interpretation. How do I join? Please contact your assigned GPL sales representative, send an e-mail to sales@gpl4u.com, or call the lab at (913) 341-8949. Ning Z, McLellan AS, Ball M, et al. Regulation of SPRY3 by X chromosome and PAR2-linked promoters in an autism susceptibility region. Hum Mol Genet. 2015;24(25):7450. Raymond FL. X linked mental retardation: a clinical guide. J Med Genet. 2006;43(3):193-200. Baum P, Vogt MA, Gass P, Unsicker K, von Bohlen und Halbach O. FGF-2 deficiency causes dysregulation of Arhgef6 and downstream targets in the cerebral cortex accompanied by altered neurite outgrowth and dendritic spine morphology. Int J Dev Neurosci. 2016;50:55-64. Meyer MA. Highly Expressed Genes within Hippocampal Sector CA1: Implications for the Physiology of Memory. Neurol Int. 2014;6(2):5388. Govek EE, Newey SE, Van Aelst L. The role of the Rho GTPases in neuronal development. Genes Dev. 2005;19(1):1-49. Kim HJ, Cho MH, Shim WH, et al. Deficient autophagy in microglia impairs synaptic pruning and causes social behavioral defects. Mol Psychiatry. 2016. Chang D, Gao F, Slavney A, et al. Accounting for eXentricities: analysis of the X chromosome in GWAS reveals X-linked genes implicated in autoimmune diseases. PLoS One. 2014;9(12):e113684. Aguilar L.C RP, Alfaro F., Cruz S., Martín R., Islas A., González R. and Cantu J.M. IINEDEC., Depto Biología Celular y Molecular, CUCBA Universidad de Guadalajara.. AP. 39-20, Guadalajara , C.P. 44171. Jalisco., MEXlCO. Boggess A, Faber S, Kern J, Kingston HM. Mean serum-level of common organic pollutants is predictive of behavioral severity in children with autism spectrum disorders. Sci Rep. 2016;6:26185-26912. Rossignol DA, Frye RE. A review of research trends in physiological abnormalities in autism spectrum disorders: Immune dysregulation, inflammation, oxidative environmental toxicants and ASD. Mol Psychiatry. 2012;17:389-401. Nevison CD. A comparison of trends in United States autism prevalence to trends in suspected environmental factors. Envir Health. 2014;13:73. Finegold SM, Molitoris D, Song Y, et al. Gastrointestinal microflora studies in late-onset autism. Clin Infect Dis. 2002;35(Suppl 1):S6-S16. Song Y, Liu C, Finegold SM. Real-Time PCR quantitation of Clostridia in feces of autistic children. Appl Environ Microbio. 2004;70:6459-6465. Persico AM, Napolioni V. Urinary p-cresol (4-cresol) in autism spectrum disorder. Neurotoxicolo Teratol. 2012;36:82-90. Thrasher, J. D.; Gray, M. R.; Kilburn, K. H.; Dennis, D. P.; Yu, A. A water-damaged home and health of occupants: a case study. J Environ Public Health 2012, 312836. Bjorklund G, et al. The role of zinc and copper in autism spectrum disorders. Acta Neurobiol Exp (Wars). 2013;73(2):225-36.